These are rides to Niagara Falls, with dinner at a restaurant there. After dinner, we take the bike-equipped GO Train back to Union Station. The Tourist-class ride leaves from High Park, and the Urban Roller ride leaves from Coronation Park on The Martin Goodman Trail, east of Strachan. Please click on the individual events under UPCOMING EVENTS for route information. There are many stops along the way for food, drink and rest. 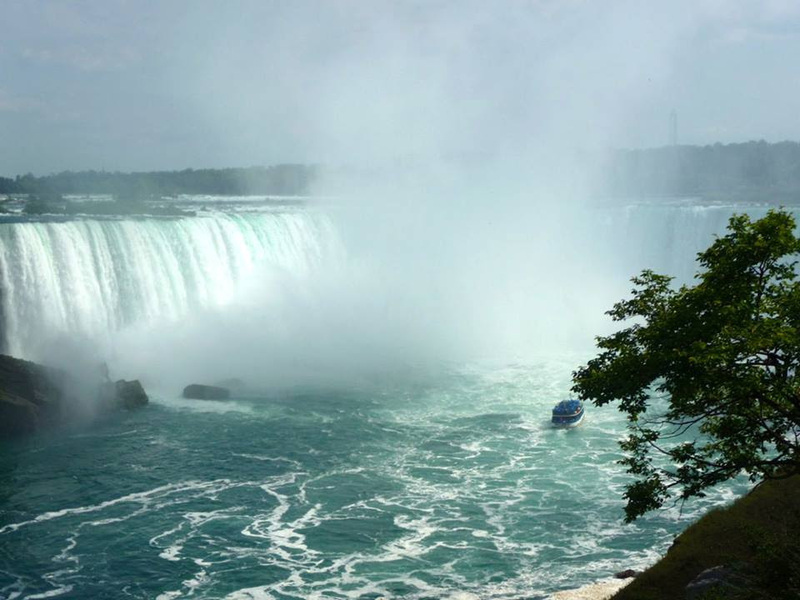 Upon arrival at Murray Park in Niagara Falls, cyclists will have a chance to see the Falls, and then cycle over to Applebee's Restaurant on Victoria Street, just near the top of Clifton Way. It is suggested that you buy your GO Train ticket on your way into Niagara Falls to avoid a potential line-up at the single ticket wicket at the station. When riding south on Niagara Parkway, turn right at Bridge Street and follow this road to the train station. Here is the link to the Niagara Falls GO Station, however, the hours of the ticket booth are limited, though there may be a machine on site for ticket purchase. This is an official TBN ride. Non-members are welcome - come to the start early to sign the waiver and pay a $5 fee. Registration is mandatory in order to ensure capacity on the GO Train and at the restaurant. Please register on the event page.